In 2011, 114 Canadians were newly diagnosed with cystic fibrosis. This number decreased between 2004 and 2006 but increased again between 2007 and 2009. The increase may have been due in part to the introduction of newborn screening programs in several provinces. 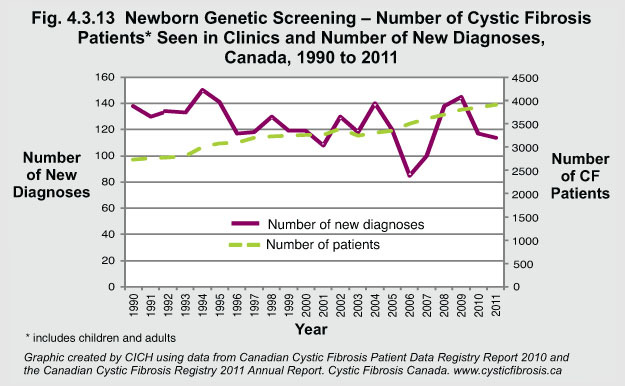 In 2011, 3,913 individuals with cystic fibrosis were seen in specialty clinics in Canada, and of those 1,675 were younger than 18 years of age.